is there any software for windows and andriod can installed and authentece instead of web browsing like sohpos ? 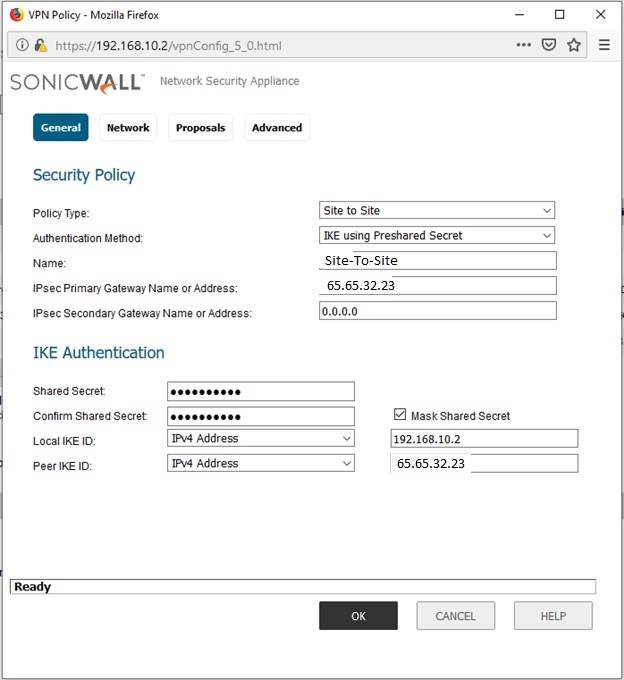 I need to setup a Site-to-Site VPN between a SmoothWall v3.1 and a SonicWall TZ. I have tried to configure the connection on both ends but so far have been unable to get any kind of a connection between the two. 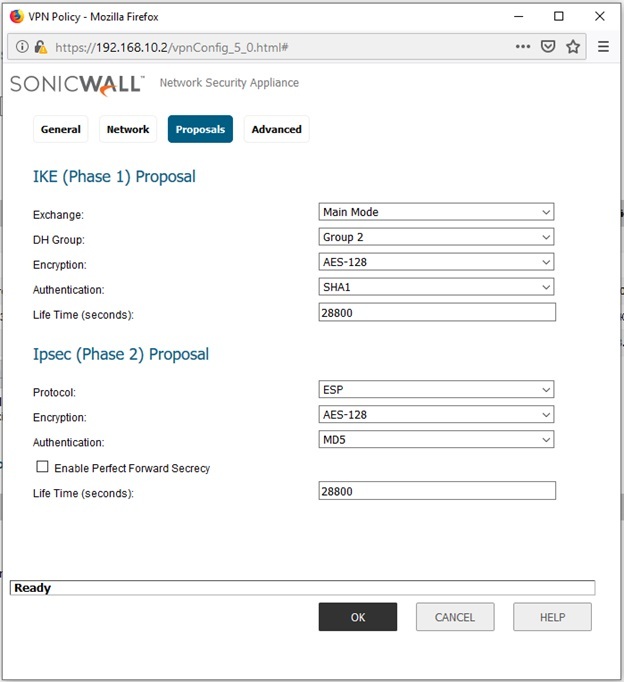 I have played with the IKE and IPSEC proposals on the SonicWall but have not found a combination which works. I do not see anywhere I can set these on the SmoothWall Has anyone managed to accomplish this? I have a bare metal server and a VPS in one of the well known UK data centres running CentOS 7. The bare metal server runs some ERP software that is accessible via a web browser (using SSL of course) however there is still the occasional use of an old client-side application that uses the telnet protocol to talk to the ERP system/server as well as printing requirements - Linux to networked IP printers on the LAN. I would like to use a hardware firewall in offices with either a VPN gateway running in the cloud or perhaps on the bare metal server running CentOS7. Can anyone please advise me on the best way of achieving this? Adding a 2016 Web Application Proxy into DMZ. Question is I already have 2 x 2012 WAPs in a cluster. For the new 2016 WAP I just want 1 x pass through http and https proxy for an internal web server. Now The question is - I understand that WAP must install adfs when its installed (even though i don't need any authentication) - Will the 2016 WAP automatically join the current 2012 cluster. Will it cause any issues? Or can I have it stand alone outside the current cluster ? I am working on making a website hosted on a local server only accessible by domain admins. The host name is http://<servername>:8080. I have tried creating different windows firewall rules with the action set if the connection is secure. Tried by group, username, or computer but anytime I have that rule set it to "secure" it is blocked by the firewall. Is this because the website its is http? Any other methods I can try? value in allowed LAN users - remote IP's are blocked. Only works if both local and remote are set to allow any. I previoulsy entered similar question and was told to do using powershell but could not work it out . 1) Can i change a defined rule of the world wide web port 443, made by the windows firewall to another port? 2) When i change the port in my remote desktop gateway and firewall rules to for example 10101, does it give me access from outside to the remote gateway server, or do i get into problems because i need to set the remote desktop gateway (client site) to a differrent portnumber (for example: homeserver.testing.it:10101) ? I have a sonic-wall firewall . 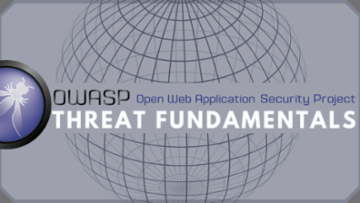 There are a lot of access roles such as rdp and http being forwarded to internal servers . I need to shot down all of them for now . What is the easiest way . I just need outgoing traffic to work for now and vpn to work . 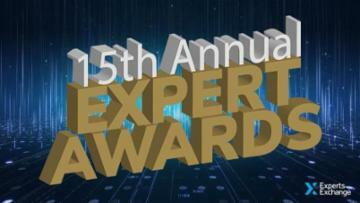 Is there a cheap sheet for identifying security issues and their solutions to the challenges. I wanted to get a list of possible security concerns and then the solutions for such a concern. Unable to see shares when I access server 2016 through UPN path from any client/server on same domain. I believe it could be firewall rule SMB over TCP which is blocked. I can ping the server but can't access it. win 2016 - forward port to different port? the lan can access to wan and that should be not. what I have to enable internet for lan without access to servers ? We have to configure both scope and protocols on Windows firewall for our failover clustering nodes. There is some problems such as renewing clustering APIPA IP addresses. How can we configure these IP addresses on firewall properly? I've checked the below ranges of local IP addresses but nodes will be down after enabling firewall. We should keep block Inbound and Outbound on firewall. Sharing any experiences is appreciated. I like the Zonealarm "Extreme" Pro firewall. But I don't like its management options. My biggest irritation is the difficulty in managing the program list. Mine regularly bloats to over 2000 programs. The vast majority of which are duplicates. 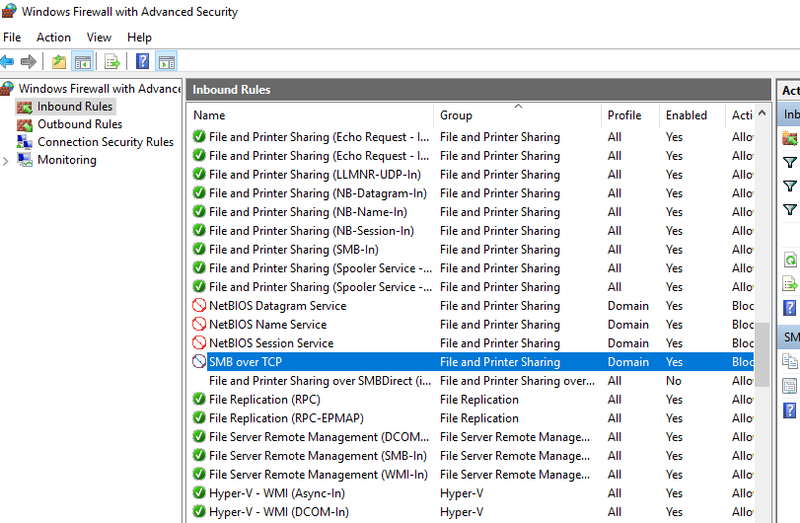 1 Why do we get duplication when a program in the list hasn't changed? 3 is there a way to make the default flag "Ask"
We have installed a PBX on AWS and connected it to our on-prem Router via VPN. My on-prem router is connected to the SIP provider via a physical connection with another on-prem MUX device (device given by sip provider). All connections are working fine, EXCEPT, my SIP provider has a condition that all connections to their server must originate from a specific IP that they have assigned to us. Since AWS machine is connected via VPN, all calls from PBX are picking up the IP of the AWS machine as "source IP". 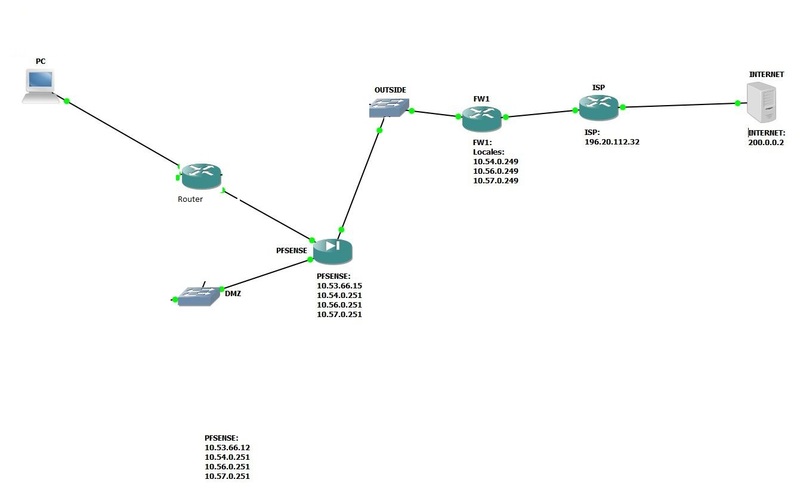 For resolving this, i need to replace / masquerade / NAT / change the IPs of all connections from AWS machine's IP to SIP provider's assigned IP. Someone suggested i need NAT loopback/reflection for this. Someone also suggested packet forwarding. someone suggest IP masquerading. Please guide how can this be done? 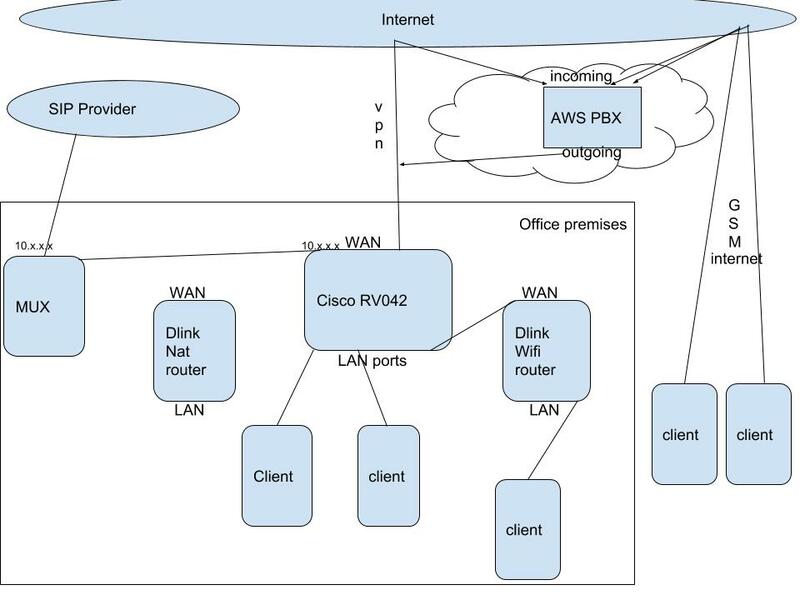 Where FW1 is a router connected to Internet using a leased line connection, and pfSense firewall is located in a BACKBONE network, different as users networks. The problem now, I want to grant PC IP address authorization to access Internet. I created a RULES for both HTTP and HTTPS protocols, but i still cannot access Internet. And the firewall, says that i have not the right to do so. I'd appreciate any help from you Experts. Catergory filtering with HTTP works fine but not with HTTPS websites.